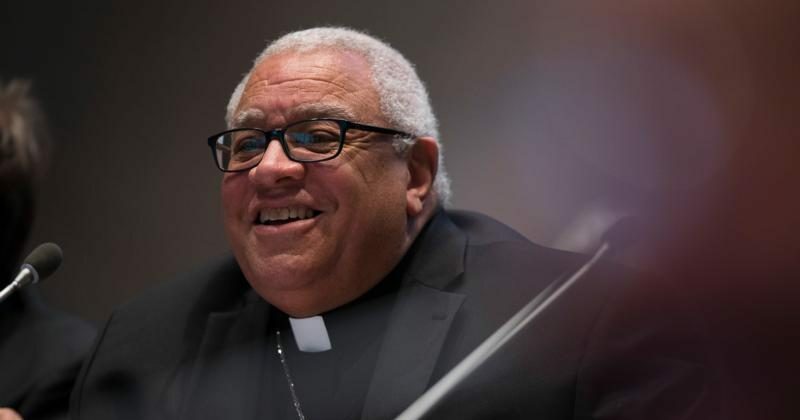 YOUNGSTOWN, Ohio (CNS) — Bishop George V. Murry of Youngstown has been diagnosed with “a form of acute leukemia” and will be undergoing chemotherapy, the diocese announced April 30. In 2017, Bishop Murry, 69, a Jesuit, became the chair of the U.S. bishops’ Ad Hoc Committee Against Racism. He also serves as chairman of the bishops’ Committee on Catholic Education. The diocese said in its statement that he was admitted to the Cleveland Clinic April 29 and will undergo intensive treatment throughout the month of May. He will not be taking visitors, the statement said. “Please keep Bishop Murry in your prayers,” said the statement, adding that it will provide periodic updates on his health. Bishop Murray was ordained in 1979 as a priest for the Society of Jesus and has served as auxiliary bishop of Chicago, and bishop of St. Thomas, U.S. Virgin Islands.